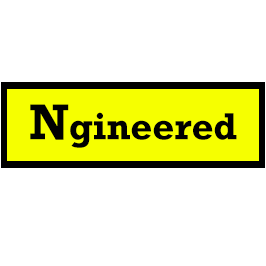 Ngineered is a full service strategy consulting and product development firm grounded in providing cutting-edge software/engineering solutions. Ngineered helps companies, ranging from start-ups to established large organizations, ideate, develop, and deploy new digital products. Whether you are looking to create that new hit dating app, understand how blockchain can benefit your business, or generally need software development services to disrupt the industry of your choice, we are here to help you develop your vision. Schedule your free consultation by visiting us at www.ngineered.nyc.